The final gameweek of October has come to an end after Monday night’s fixture at Wembley Stadium, and AFC Bournemouth’s Official FPL League has an unchanged leader. With October’s games wrapped up, the winner for the month will be getting their hands on one of our top prizes. The October prize goes to Dave Howe, who managed another 95 points this week to take his monthly tally up to 265. 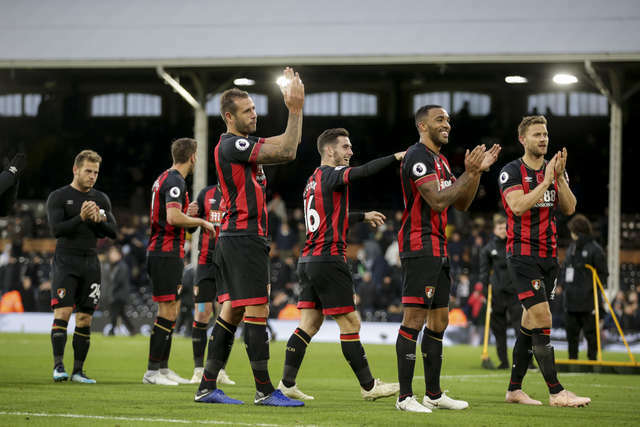 His faith in Cherries defenders Nathan Ake and Steve Cook paid dividends as Bournemouth kept a clean sheet at Fulham, while Callum Wilson’s brace didn’t do him any harm either. Following on from last week, Mou Niir’s Bouknana Ciiity 555 continues to top the overall league standings thanks to an 88-point haul this gameweek, thanks in no small part to the services of Sadio Mane, Ross Barkley, and Callum Wilson. Great use of your wildcard, Mou! 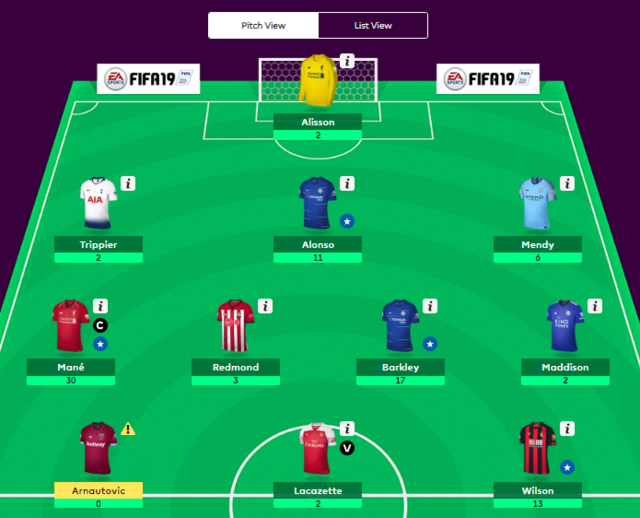 Despite Howe’s and Niir’s impressive achievements, no-one earned more points in the league this week than Alan Jupp, who boasts an emphatic 127 points after he chose to triple-captain Ryan Fraser. The Scotsman provided two assists to earn his boss 33 points from one chip. With his two goals against Fulham in the Cherries' 3-0 win at Craven Cottage on Saturday, Callum Wilson returned 13 points – the second time he has hit double figures in the last three gameweeks! With at least one goal or assist in seven of the first ten gameweeks, Wilson’s stock is on the rise with a price tag of £6.6m and an increasing player ownership of 27.8% - that’s more than any other Bournemouth player. A clean sheet earned points for Cherries defenders all round, while David Brooks and Ryan Fraser earned the most points after Wilson thanks to their involvement in Bournemouth’s goals. The fixture list doesn’t look particularly kind for Bournemouth, with a fixture difficulty rating of 4 or higher making up six of the next ten gameweeks. Nevertheless, if form is anything to go by then it could be worth bringing a Cherries defender into your team, as Eddie Howe’s side have managed a clean sheet in each of their last three games, two of which were away from home. If you choose to go down that route, Steve Cook remains the highest-scoring Bournemouth defender with 42 points for the season so far. At £4.6m, the Englishman, who has played 90 minutes of every game this season, looks like he could be a bargain, providing a bit more value than a £5m-priced Nathan Ake. In the attack, David Brooks offers good value with a goal in three of his last four games, and the Welshman’s slim player ownership of 2.1% could make him a big differential in your league. Maurizio Sarri has shown more faith in Ross Barkley over the last few weeks, and the Chelsea midfielder has not disappointed. Barkley has scored in each of his last three matches and was the highest-scoring player across the board in gameweek 10 with 17 points. Owned by a mere 4.5% of FPL managers and at an affordable price of £5.8m, now seems like a good time to profit from Barkley’s fantastic form. At £4.5m, Brighton goalkeeper Matthew Ryan could be a useful asset as well. The ‘keeper has kept three consecutive clean sheets and Brighton don’t have any games with a fixture difficulty rating higher than three for the next six gameweeks.